The revival of the John Crabbie name in Scotch whisky is set to continue with the construction of a £7m malt distillery in Leith. Plans for the new plant on Graham Street, close to John Crabbie’s original premises at Yardheads, Great Junction Street, have been unveiled by Crabbie owner Halewood Wines & Spirits. The company said it would invest more than £7m in the new distillery, which is set to open in early 2019. That might make it the first single malt distillery to open in Edinburgh for more than a century, although the rival Holyrood distillery project is aiming to begin production by the end of this year. The Port of Leith distillery is also due to open its vertically arranged whisky plant in spring 2019. The John Crabbie name has become associated with Crabbie’s green ginger wine and ginger beers, but Crabbie, who established the business in 1801, was a pioneer in Scotch whisky. He was co-founder and first chairman of the North British grain distillery, which still operates in Edinburgh, and was one of the first large-scale whisky blenders. ‘The site we have chosen in Leith has historical links with Scotch whisky production and maturation dating back over 200 years, and we hope it will contribute to the rising prosperity of the area with the creation of new jobs and through attracting additional visitors to the city,’ said David Brown, managing director of John Crabbie & Co. The John Crabbie distillery had originally been earmarked for Granton Harbour, but it was felt that the new site in Leith was a better fit with the heritage of the Crabbie name and Leith’s historic status as the epicentre of the Scotch whisky industry. 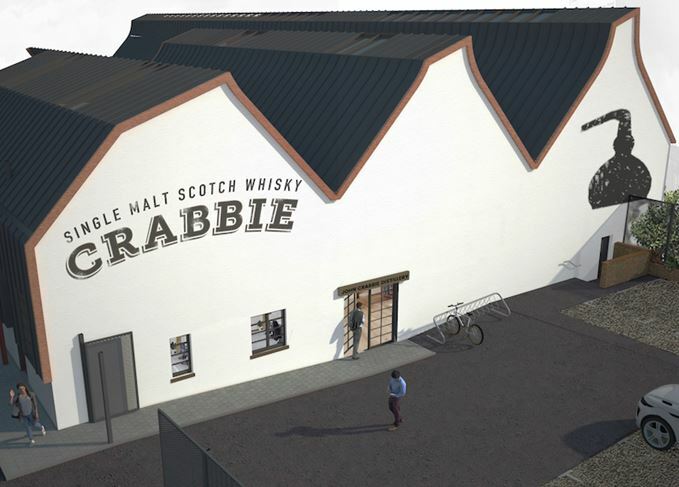 The new distillery will continue the revival of the Crabbie name in Scotch, which has already included the launches of two sourced single malts, with more to follow. The planned Port of Leith distillery in Edinburgh will be arranged vertically in a 40-metre tower.